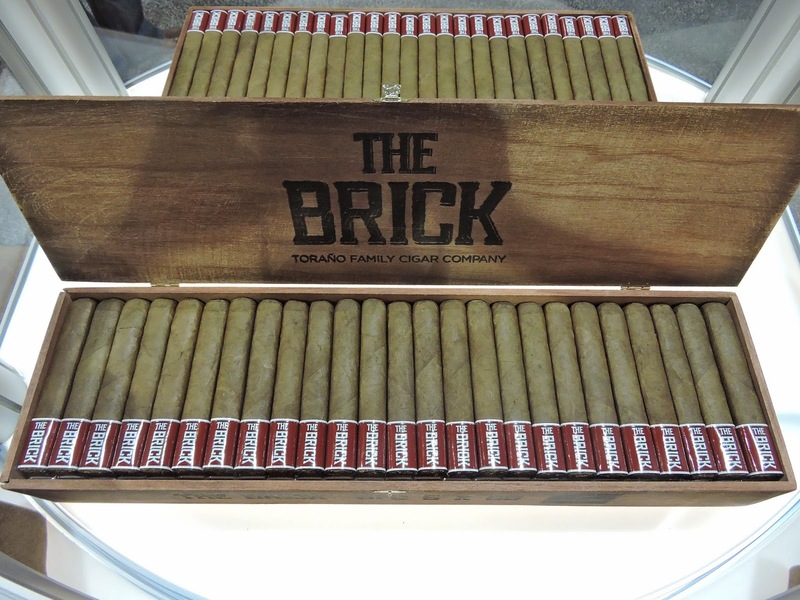 At the 2014 IPCPR Trade Show, Torano Family Cigars relaunched its value cigar – The Brick. It was late last year when word first surfaced that The Brick would be undergoing a facelift. The revamped Brick was unveiled at the trade show. It not only features new packaging, but it features a modified blend, and it has been streamlined to two vitolas going forward. Packaging wise – The Brick is moving away from the 25 count boxes and will now be available in 100 count boxes. The cigar also has a new band – with that new band now being a footer band. The Brick has slightly altered its blend – with some Nicaraguan filler being added to the filler. The Brick is now being offered in two sizes – a 7 x 56 Churchill and a BFC 6 x 60. Both will have a price point under five dollars. As mentioned, The Brick is available in two sizes. The cigar is being geared for big ring gauge enthusiasts. The shape of each remains box-pressed.